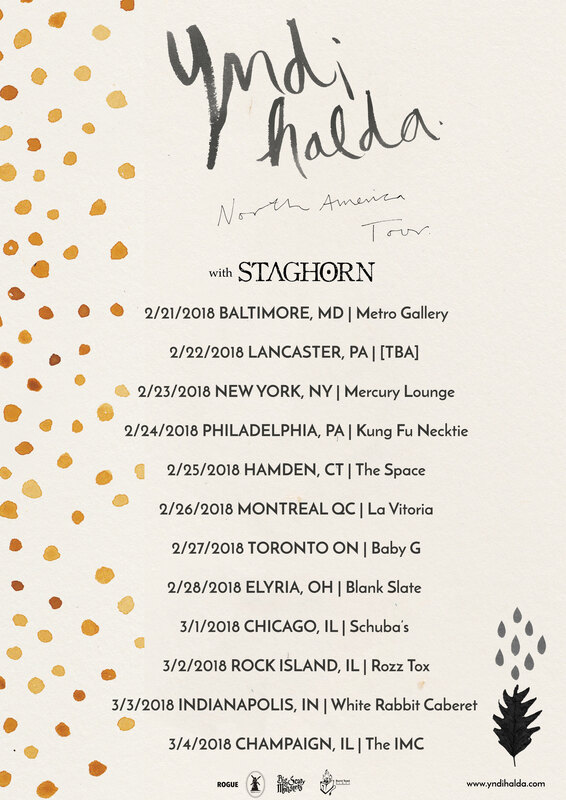 yndi halda North American Tour! In conjunction with the tour, yndi halda is releasing A Sun-Coloured Shaker one-sided LP on sun colored vinyl. Pre-orders for the LP and a limited edition print are being taken now and will ship to coincide with the North American tour dates. The LP and print are both available separately.